Unlike most Martha Stewart recipes, the kind that entice me with their food styling only to leave me disappointed in my own re-creation, this recipe had a favorable photo to real life comparison. 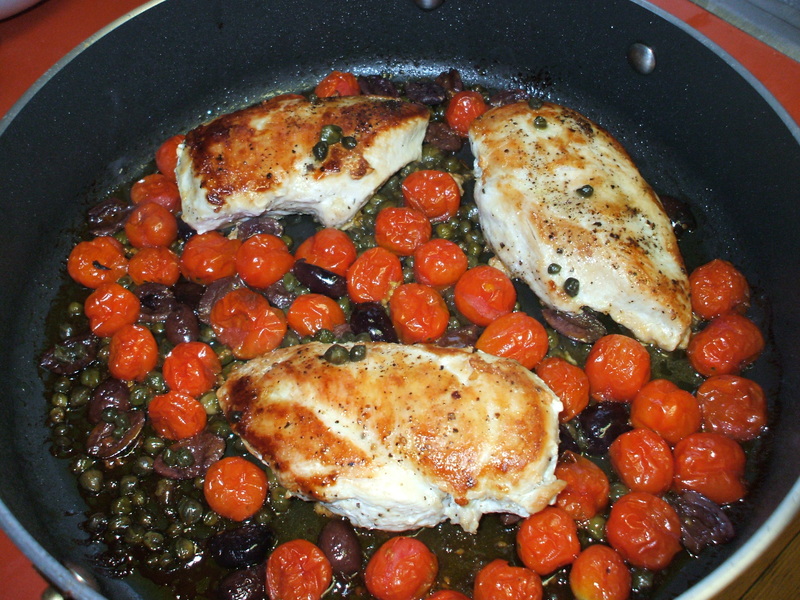 It looked good with its nicely browned chicken, plump roasted cherry tomatoes and a sprinkling of capers and olives. It also tasted good despite my own secret reservation to capers, olives and roasted tomatoes (why did I try this again?). Nevertheless, it was delicious. The tomatoes are juicy, the olives and capers provide an inoffensive tang and saltiness and the whole thing comes together so quickly that it is a decidedly simple yet elegant weeknight meal. Preheat oven to 475 degrees. 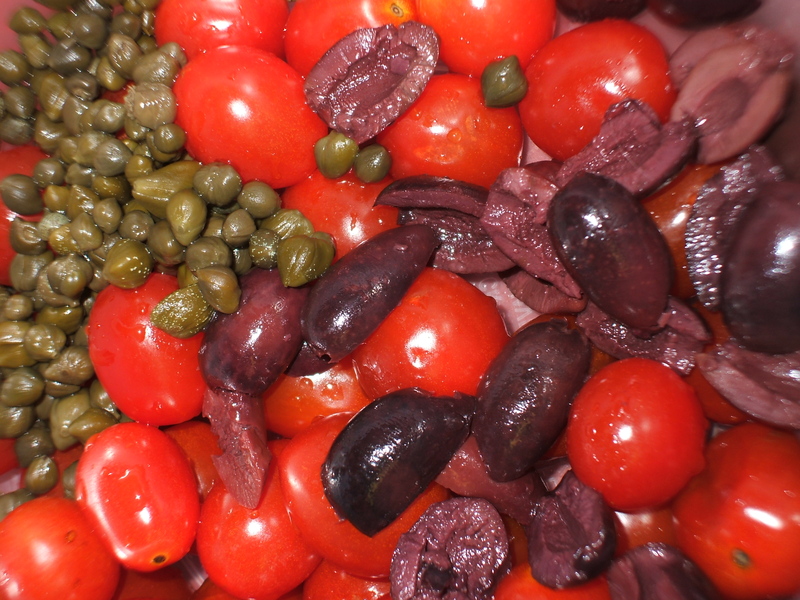 Toss tomatoes, olives, capers, and 2 tablespoons oil together in a medium bowl. Set aside. Rinse chicken, and pat dry. Season both sides with salt and pepper. Heat a large ovenproof skillet over high heat until hot. Add remaining tablespoon oil; heat until hot but not smoking. Place chicken in skillet, skin sides down; cook until deep golden brown, about 4 minutes. Turn chicken over. Add tomato mixture to skillet. Transfer skillet to oven. Roast until chicken is cooked through and tomatoes have softened, about 18 minutes.